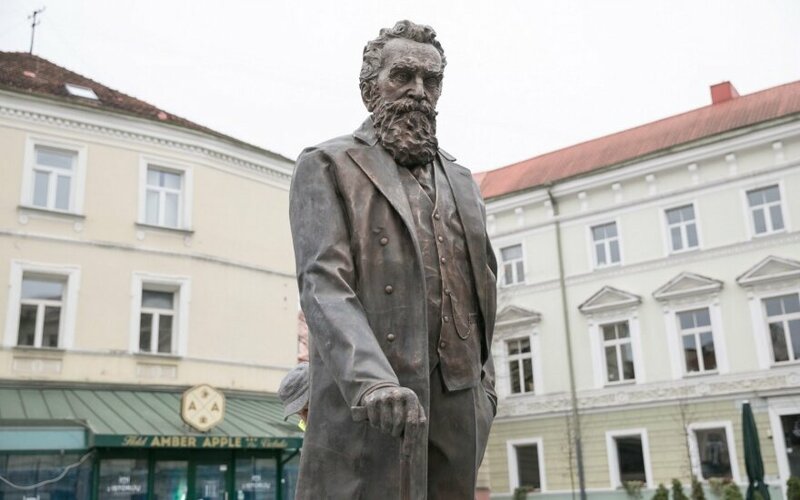 Cafés and restaurants of the Old Town of the capital city of Lithuania will invite everyone to have a cup of caffè latte dedicated to Dr. Jonas Basanavičius or a piece of cake made on the occasion of his 167th birthday. 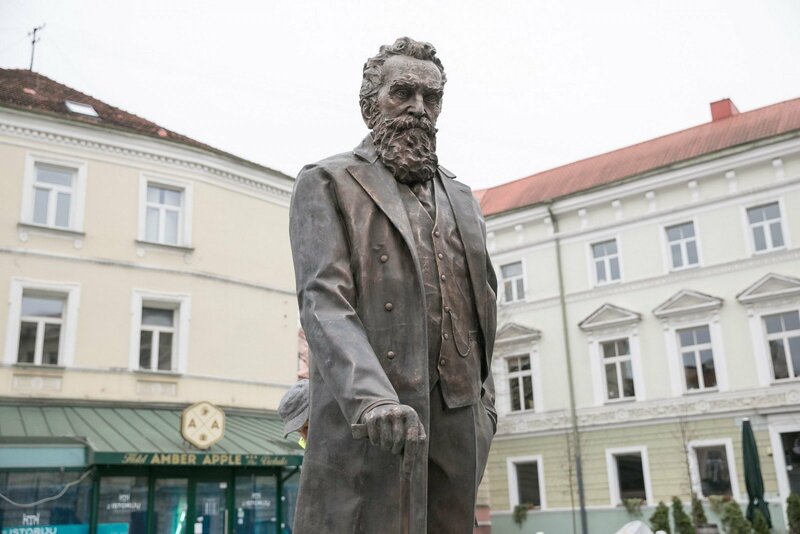 This Friday, on 23 November, Vilnius city dwellers and city guests will gather to the ceremony of unveiling a monument for this prominent figure. The monument will be erected in front of the Lithuanian National Philharmonic Society on the square named after this patriarch of the nation. The monument unveiling ceremony is a symbolic evening marking the closing of a cycle of events dedicated to the centenary of the restored state of Lithuania, a press release from Vilnius municipality states. Not only the fact that Dr. Jonas Basanavičius returns to one of the most important historical spaces of Vilnius is important but also the fact that city entrepreneurs also contribute to this return. It is no secret that Dr. Basanavičius himself had a vein of an entrepreneur and was the founder of entrepreneurship in Lithuania. Dr. Basanavičius has been known not only as an author of the idea of the Lithuanian congress in Vilnius and its main organiser, the prophet of nationality and the establisher of connections between Lithuania and foreign countries, he was also an entrepreneur – organiser of an enterprise Vilija for the manufacture of agricultural machinery and a big shareholder, also one of the founders of Lithuanian Farmers' Company. "To contribute to the celebration of the whole nation and, to some extent, to cherishing of history, we decided to include an exceptional symbol of the Lithuanian cuisine – grated potato cake – in the menu of our restaurant, though we mainly offer the dishes of foreign countries", Asta Dagytė, manager of the restaurant Mason, said. On the occasion of Dr. Basanavičius' 167th birthday, the dessert café Sugarmour decided to supplement its menu with an amber birthday cake. The restaurant Etno Dvaras will install a Basanavičius' Hall which will be a place for portraying the visualisation of events to reveal why Dr. Basanavičius is called the patriarch of the nation; the hall will open its door on 23 November. The restaurant City Chef Barbecue took into consideration two lines of Dr. Basanavičius' biography. First, he was an active advocate of sobriety, and, second, he had the Bulgarian citizenship; for this reason, the restaurant included in its menu a non-alcoholic Jonas' cocktail containing the Bulgarian rose water. In addition, Džiugo Namai will give a 20% discount on its products; the Bookafe visitors will be invited to enjoy the special Dr. Basanavičius' caffé latte during the entire November 23. The breakfast café Beigelistai will give a 30% discount to everyone who will pronounce the secret code "Bagel with Basanavičius". Special offers and a festive menu will be available in other restaurants, dessert cafés and other cafés of the capital city: Ice Dunes, Artistai, Pilies Kepyklėlė, Mykolo 4, Pilies Katpėdėlė, Izgara, Žuvinė. In some restaurants and cafés special offers will be available the entire month of November.